Why Choose Rob Nickels Tennis Academy? At Rob Nickels Tennis Inc. we aim to provide you with the most professional service to all our tennis friends. Our Team of Tennis Professionals are the best coaches in the area and we sincerely care about your child and their tennis development. The positive energy at the tennis courts is welcoming for all levels of players and parents too. 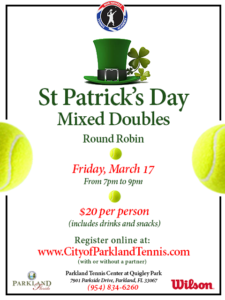 Located at the magnificent new Parkland Tennis Center at Quigley Park on Parkside Drive, our tennis academy is proud to offer our classes on the best courts in Parkland. 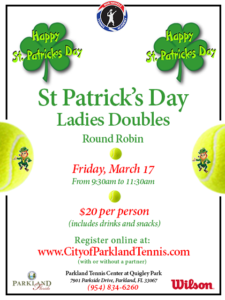 The Rob Nickels Tennis Academy is the official tennis academy of the City of Parkland. We understand that our affiliation with the City of Parkland ensures that the our academy offers the highest standard of teaching available. 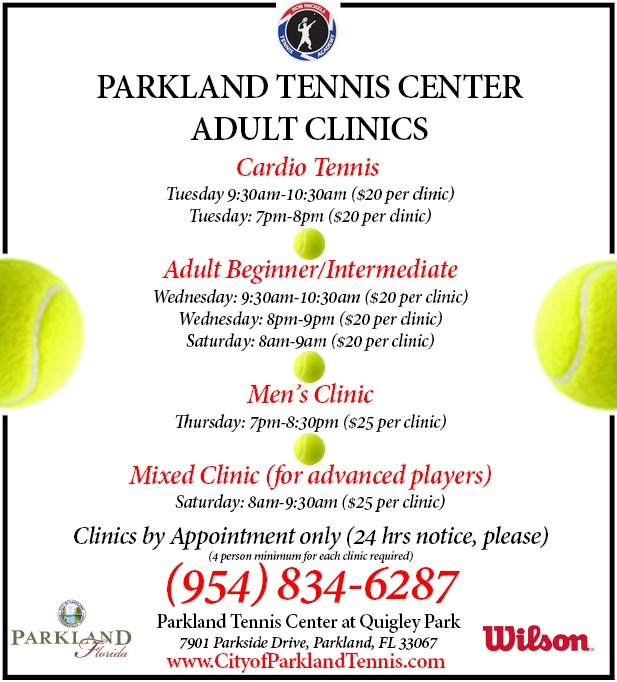 Call us today for a free trial class and join the tennis revolution in Parkland. 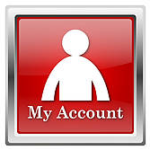 Please take a few moments to read below some of our many reviews from our happy clients! Rob Nickels has been teaching my daughter, Sam for over 5 years both in a group setting as well as privates. The patience, perseverance, and dedication he has demonstrated with her has made her the great player that she is today. The bond between them can never be broken. Rosy B.
Excelente profesional y mejor persona. Su amor por el tenis y los niños lo hace el major! Martha P.